Now AirPrint compatible. Simply print from iPhone, iPad, and iPod Touch. 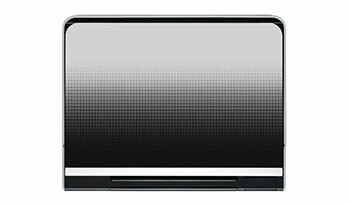 Whisper-quiet operation and a retractable paper tray that you can tuck out of sight make the HP ENVY100 the perfect all-in-one for any room in the house. 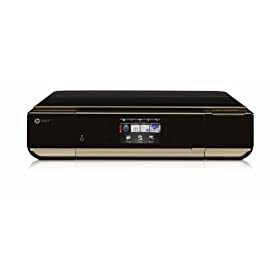 Resolution up to 1200-dpi optical; maximum scan size 8.5" x 11.69"
Requires a wireless access point and an Internet connection to the printer. Services may require registration. Apps availability varies by country and language. For details, http://www.hp.com/go/ePrinterCenter. Requires an internet connection to the printer. Feature works with any internet- and email-capable device. Print times may vary. For a list of supported documents and image types, see www.hp.com/go/ePrintCenter. Supports iOS 4.2 devices (iPad, iPhone 4, iPhone 3GS, and 3rd and 4th generation iPod touch) that support multitasking. 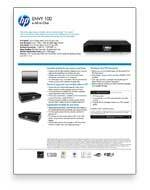 Works with HP ePrint-enabled printers and All-in-Ones. AirPrint and iOS 4.2 devices require an 802.11 wireless network connection to the printer. Wireless performance is dependent upon physical environment and distance from the access point. AirPrint and the AirPrint logo are trademarks of Apple Inc. iPad, iPhone and iPod touch are trademarks of Apple Inc., registered in the U.S. and other countries. After first page; see www.hp.com/go/inkjetprinter for details. Average based on ISO/IEC 24711 or HP testing methodology and continuous printing. Actual yield varies considerably based on content of printed pages and other factors. Some ink from included cartridge is used to start up the printer. For details see www.hp.com/go/learnaboutsupplies.